The Coptic Orthodox Church announced that they recognize the 21 men killed last week in Libya by ISIS as martyrs and their have names have been inscribed into Coptic Synaxarium. This was an ecclesial act, similar to the Latin Church’s canonization, by Coptic Orthodox Pope Tawadros II. A Synaxarium is the equivalent to the Roman Martyrology for the Eastern Churches (each of the church has its own list of saints). 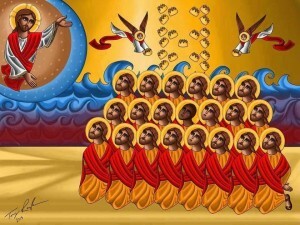 As one commentator said, the 21 Egyptian martyrs are not merely for the Copts, but for all Christians. Their witness to the Christian faith is critical for all of us who find it difficult to bear the burden of Christ’s Paschal Mystery. 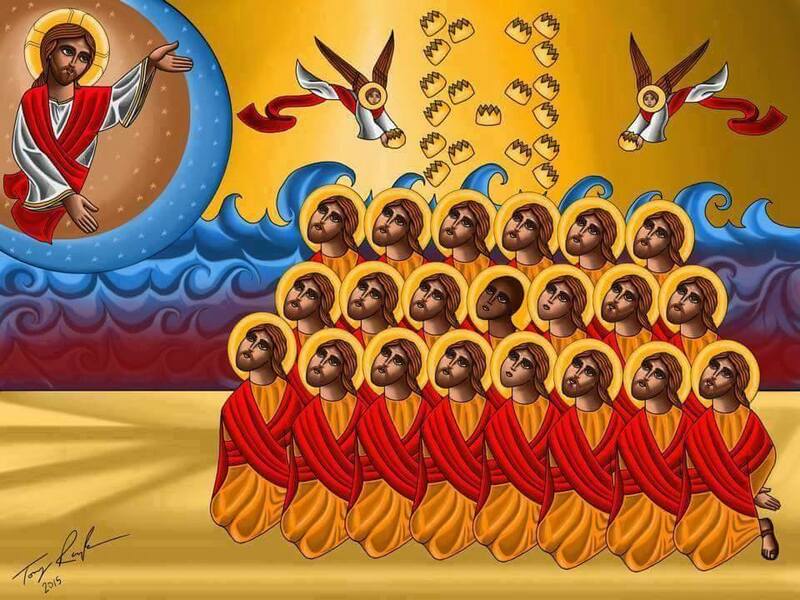 The Coptic Orthodox Pope stated that the martyrs will be commemorated on the 8th Amshir of the Coptic calendar, or February 15th of the Gregorian calendar. The commemoration falls on the feast day of the Presentation of Jesus at the Temple. Today, Sunday, 27 April 2014, Pope Francis recognized as saints Popes John XXIII and John Paul II. Also present was Benedict XVI, pope emeritus, concelebrating Holy Mass. He say among the cardinals. 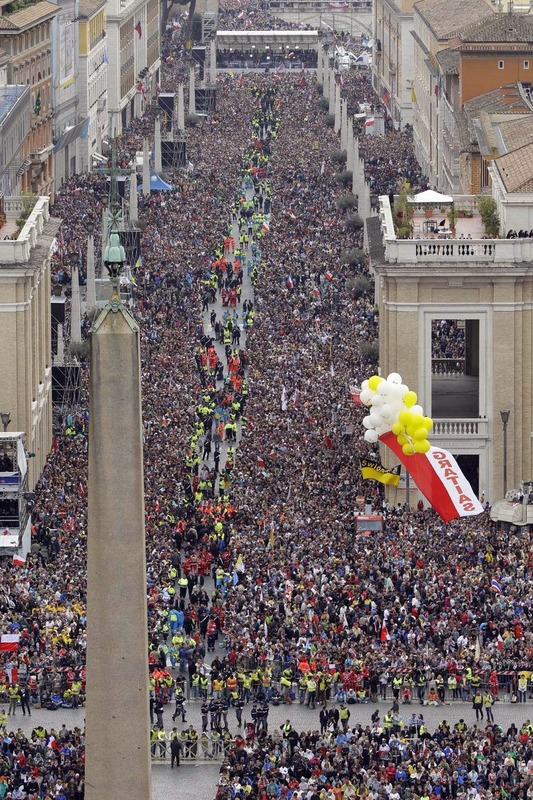 More than 90 heads of state, other secular leaders among with more than a thousand bishops and 150 cardinals were present with more than a million people. This is also the image of the Church which the Second Vatican Council set before us. John XXIII and John Paul II cooperated with the Holy Spirit in renewing and updating the Church in keeping with her pristine features, those features which the saints have given her throughout the centuries. 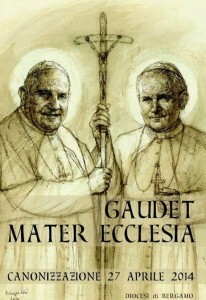 Let us not forget that it is the saints who give direction and growth to the Church. In convening the Council, John XXIII showed an exquisite openness to the Holy Spirit. He let himself be led and he was for the Church a pastor, a servant-leader, led by the Spirit. This was his great service to the Church; he was the pope of openness [NB: from editor docility] to the Spirit. In a meeting with Cardinal Angelo Amato, SDB, Prefect of the Congregation for Saints this morning in Rome, Pope Francis was presented with causes of several persons being studied for beatification and sainthood. A special Consistory of Cardinals has been called to discuss the proposed canonizations. Notably, the cardinals will discuss the canonizations of Blessed John Paul II and Blessed John XXIII. In today’s Ordinary Consistory of Cardinals and Bishops of the Congregation for Saints, Pope Francis received the favorable votes for both popes canonization. John XXIII, though without the usual required second miracle. Moreover of note, the Prelates favorably voted on the beatification of Bishop Álvaro del Portillo, the successor of Saint Josémaría Escriva. The former Prelate of Opus Dei died in 1994. The Venerable Servant of God was in his early life as a priest a significant contributor of the work of the Second Vatican Council. Several of recognitions of sanctity were made. The dares for the special Consistory and canonizations has not yet been set, and the canonization is expected to happen by year’s end. Several weeks ago word was received that the theologians approved of the findings they were presented on a miracle studied to support Blessed John Paul’s cause of canonization. 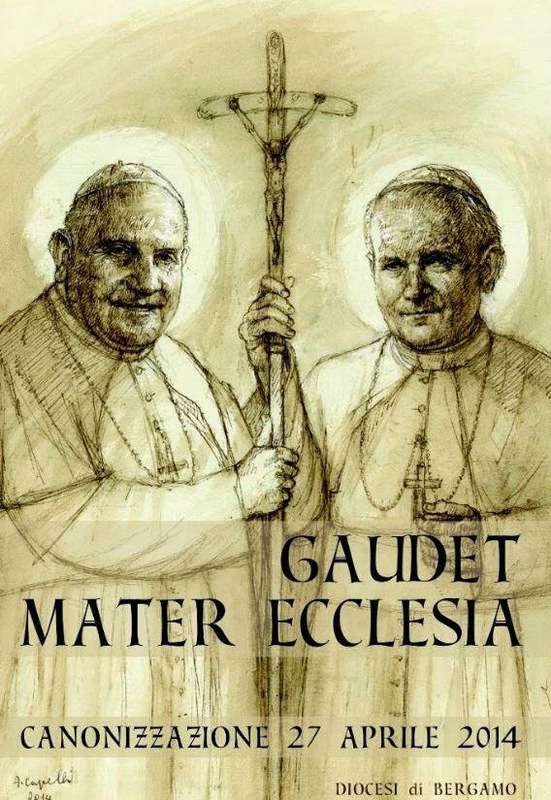 A second miracle is required for the canonization process to certify that the person being presented for canonization is authentic; the person doesn’t create the miracle but it is through that person’s intercession before God asking Him for the favor. 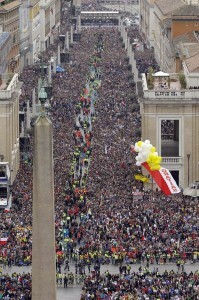 It is said that this second miracle happen on the night John Paul was beatified. A Costa Rican woman is the subject of the healing. 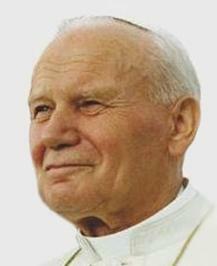 John Paul II died in 2005 and was beatified on 1 May 2011 by Pope Benedict XVI. The full meeting of the cardinals and bishops of the Congregation for the Causes of Saints met today and likewise approved the report on the second miracle. The Congregation under the leadership of Cardinal Angelo Amato will now write a report and submit it to the Roman Pontiff for his decision. It is speculated at by December Blessed John Paul could be sainted. Some are also speculating that Blessed John XXIII could be sainted, too. In the days leading up to the great feast of Pentecost which we celebrate next week, it seems right that we look to what we know and believe about the gift of the Holy Spirit, the Advocate sent to us by the Trinity. We need to work in a concerted way to educate our religious sense on the gifts of the Holy Spirit that were given in the sacraments of Initiation. The Holy Spirit is not talked about too often in the teaching of the faith and you rarely hear of the Spirit in homilies. I would love to see a parish provide as part of their formation of adults an in-depth course on the gifts of the Holy Spirit. 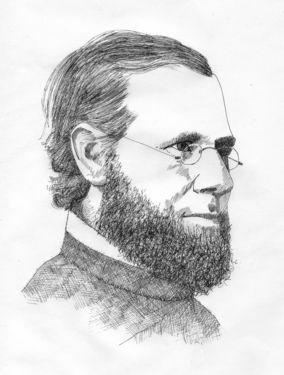 Father Isaac Hecker is one of America’s priests who took evangelization and adult faith formation seriously. Let’s take inspiration from him.